The so-called motorsport ‘Triple Crown’ may have eluded F1 retiree Fernando Alonso for now, but the Spaniard just added another big feat to his already mega CV: he’s now a Daytona 24 winner. 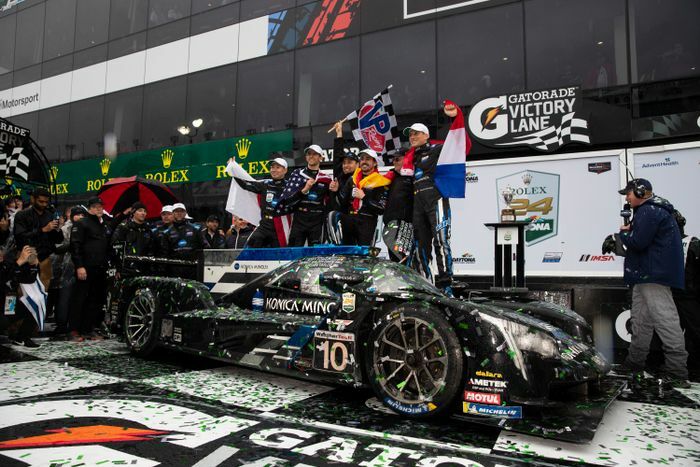 Jordan Taylor, Kamui Kobayashi and Renger van der Zande and Alonso steered the number 10 Wayne Taylor Racing Cadillac to victory, in a race that was anything but straightforward. Visibility is so low in the #Rolex24. Alonso spent his stints reminding the motorsport world that he really is rather brilliant when given a car that’s actually competitive. During his first stint, the 37-year old leapt from ninth to first, built up a decent lead, saw it disappear under a caution period, and then built it back up again. As if that wasn’t enough, the man was at points multiple seconds faster than anyone else when heavy rain hit the track in the early hours of Sunday. 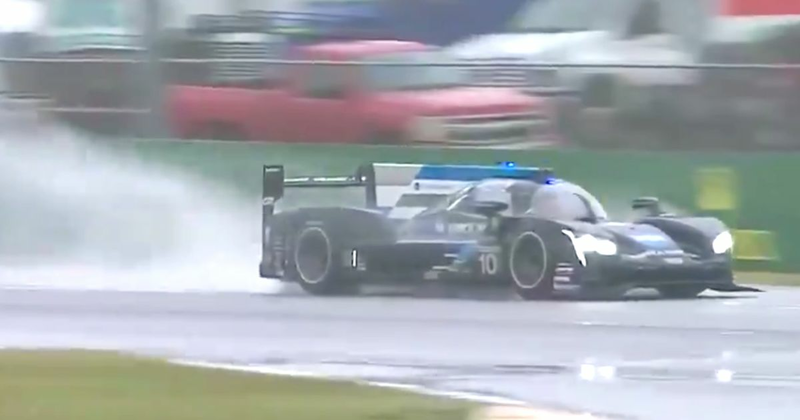 The deluge led to an hour-long caution period followed by a red flag with around seven hours to go, and although racing did resume 90 minutes later, the action was frequently hit with caution periods due to the extremely hazardous conditions. 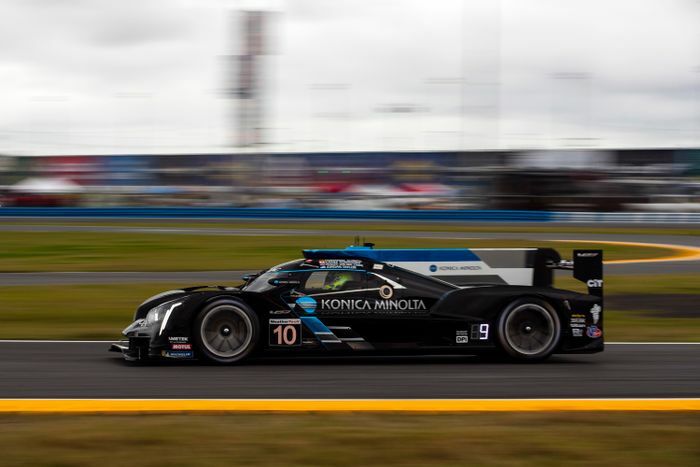 A second red flag period of around an hour followed, and with the clock at 23 hours and 50 minutes, the number 10 Cadillac and its quartet of drivers were declared outright winners, ahead of Whelen Engineering Racing Cadillac’s Felipe Nasr, Pipo Derani and Eric Curran. Best of the LMP2 cars was the Oreca/Gibson car of DragonSpeed, with Roberto Gonzalez, Sebastian Saavedra, Ryan Cullen and motorsport’s favourite meme machine Pastor Maldonado.